By founding Walking Warriors Battling Breast Cancer, Jeanne Mandelblatt, MD, MPH, has created a strong community of cancer survivors and others who have been impacted by the disease, raising tens of thousands of dollars and exhibiting her proven roles as both a gifted physician-scientist and advocate. 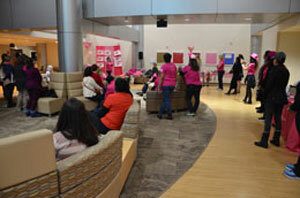 (January 19, 2019) — The sobering realities of breast cancer brought dozens of cancer survivors and their friends and family to an event at the Lombardi atrium on a weekend pounded by snow. Solidarity among the Walking Warriors can often lead to moments of laughter and tranquility, all serving as an outlet for their passion toward eradicating breast cancer. For years, Jeanne Mandelblatt, MD, MPH, has mobilized a close-knit, devoted team who raise visibility and awareness for breast cancer care and research through long-distance fundraising walks. Mandelblatt’s team banded together and eventually walked as the largest team in the AVON 39 Walk to End Breast Cancer, raising more than $1.4 million over several years. 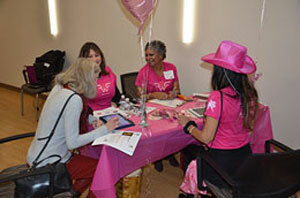 When the Avon Foundation for Women stopped holding this annual event, the team came together in 2018 to establish Walking Warriors Battling Breast Cancer, a nonprofit organization, to carry the mission forward. 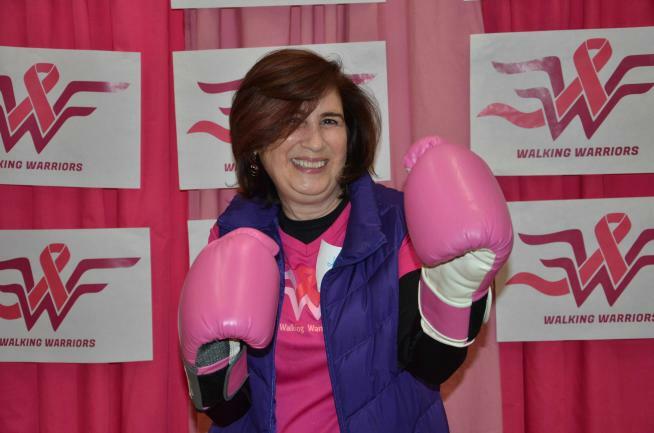 Mandelblatt, a professor of oncology and medicine at Georgetown Lombardi Comprehensive Cancer Center, founded Georgetown Lombardi’s Capital Breast Care Center in 2004, one of the beneficiaries of the Walking Warriors fundraising efforts. Although many Walking Warriors started out as strangers, the spirit of mutual support and camaraderie made their bonds strong and brought them out on a frigid weekend. Led by volunteers and supported by community partnerships, the Walking Warriors raised over $100,000 in their first year of fundraising. At their grand start party on January 12, the Walking Warriors officially started their training season to prepare for the second annual walk on Saturday, April 27, 2019. Among the event’s attendees was Poonam Bansal, who started participating in the AVON 39 Walk to End Breast Cancer in 2005 and subsequently joined the Walking Warriors. Like others in her family, Bansal for years lived in fear of being diagnosed with breast cancer after every mammogram, many of them followed by apprehension from her health care providers. No longer wanting to feel like she was at the mercy of breast cancer, Bansal chose to get involved. Poonam Bansal’s remarks at the event focused on her pride in being part of the Walking Warriors, and how the group has enriched both her personal and professional life. As an accountant, January through April are hectic months for Bansal, so the idea of skipping work to participate in a walk was initially unfathomable. “But believe me, this team is addicting,” Bansal said, adding that her participation has actually made her more efficient at work. Afraid she wouldn’t be able to finish the walk her first year, Bansal joked that the 10 miles she would walk on her living room treadmill in preparation amounted to “three movies.” Her participation with Walking Warriors has helped her both physically and emotionally, and her own impact on the group has been outsized. “It was with her work that Walking Warriors became a 501(c)(3),” Mandelblatt said. 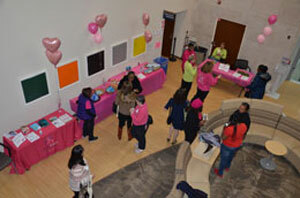 Find out more about how to join with or donate to Walking Warriors Battling Breast Cancer.